The 8970 Random orbit sander is designed for Industrial and Hi-Production applications where high performance sanding and dust containment without a vacuum source is required. 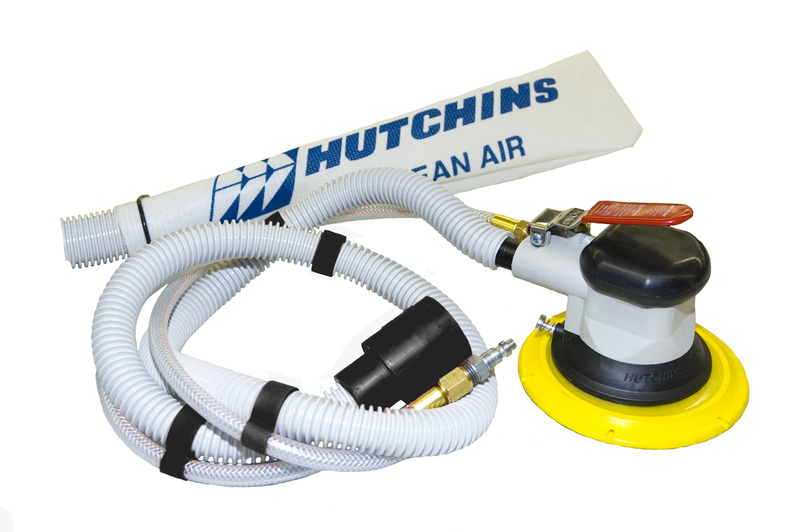 With a revolutionary motor design, the 8970 delivers ultra high speed sanding with legendary Hutchins balance and durability. Designed with a captive pad orbit, the 8970 delivers up to 40% more sanding performance and 50% faster operating speed than conventional sanders! The 8970 is a Multi-Option design and does not require a vacuum source for dust collect. Optional pads and dust collection bags can be purchased to increase the 8970's dust extraction capabilities. Comes with the patented built-in pad release button.